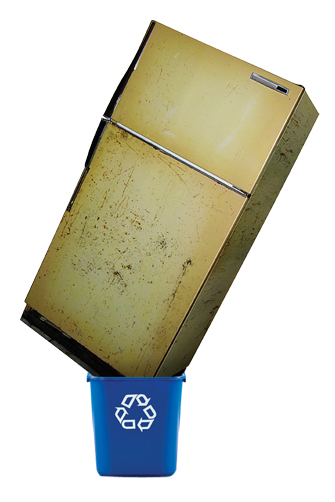 Hawaii Energy, the State’s energy conservation and efficiency program, will offer a limited time $250 rebate for ENERGY STAR refrigerators purchased from local appliance retailers for residents of Hawaii and Maui counties beginning March 7, 2011. The program runs only two weeks. Hawaii Energy hopes to lessen Hawaii and Maui county households’ utility costs and reduce energy consumption through this offering. Native Hawaiian homestead residents of Hawaii and Maui counties will also be eligible for $250 rebates for ENERGY STAR® refrigerators and/or clothes washers through additional support from the Council for Native Hawaiian Advancement (CNHA). A limited number of applications are reserved for those who are qualified. CHNA and Hawaii Energy will assist families that need additional support or have questions about the logistics of this offering. Approximately $200,000 has been allocated for this program with majority of the funds coming from the American Recovery and Reinvestment Act (ARRA). This offer will expire when the funds are depleted. Energy-efficient refrigerators can use up to 40 percent less energy than older models, which can be two to three times more expensive to operate. Replacing a single 10-year old refrigerator with a new ENERGY STAR® model can save people between $1,700 and $2,000 in electricity bills at today’s prices and 13 barrels of oil each, over a 15-year lifespan. ENERGY STAR front- or top-loading clothes washer also use 20 to 35 percent less energy and use up to 15 to 22 gallons less water per load compared to a standard full-size machine. Hawaii and Maui county residents must visit a participating retailer in Hawaii or Maui county to purchase an ENERGY STAR refrigerator. The retailer will then provide the rebate application. The completed application and required proof of purchase must be sent to Hawaii Energy to receive the rebate. Native Hawaiians residents of Hawaii and Maui county homestead communities must contact CNHA to get a rebate application. Upon verifying that the applicant lives on Hawaiian Home Lands, CNHA will mail rebate application. The applicant may then purchase an ENERGY STAR refrigerator and/or clothes washer from a participating retailer. Following the purchase, the completed application and required proof of purchase must be sent to Hawaii Energy. Hawaii Energy is a ratepayer-funded conservation and efficiency program administered by SAIC under contract with the Hawaii Public Utilities Commission serving the islands of Hawaii, Lanai, Maui, Molokai, and Oahu. The Council for Native Hawaiian Advancement (CNHA) is a national, member-base 501(c)(3) nonprofit organization dedicated to capacity building and providing support services to agencies and organizations focused primarily on Native communities in Hawaii and the Pacific. Its mission is to enhance the well-being of Hawaii through the cultural, economic, and community development of Native Hawaiians. They are a strong voice on public policy, operate a community loan fund, deliver capacity building and leadership development services, and promote community-owned enterprises.